James Pascoe shackled to a bed after his parents? pleas for more appropriate care were ignored. 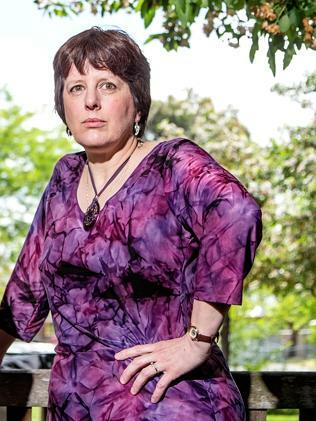 In November, Bronwyn Pascoe and her husband Allan made repeated calls to the Department of Human Services regarding the lack of support and respite and their son James’ mental wellbeing after he was moved to a new supported accommodation centre. Mrs Pascoe said her pleas were ignored, and James lashed out while staying at a support centre in the city of Whittlesea. Police were called and he was taken to hospital on Friday, November 21. James was taken to hospital for a second time on the same day following a similar incident at his family’s Greensborough home. 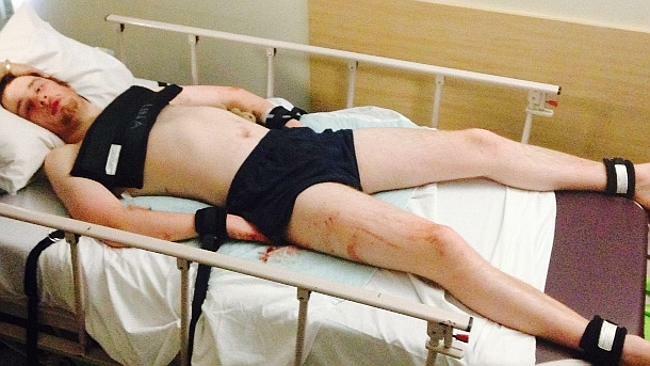 He spent his 21st birthday shackled to a bed at The Northern Hospital in Epping. James is still in hospital while the Pascoes negotiate with the department. Mrs Bronwyn has launched a petition at change.org calling on Premier Daniel Andrews to provide adequate support and respite for people with autism and their carers. The online petition, signed by more than 17,000 people, calls on Mr Andrews to stop the neglect shown by the previous government to families and carers who had to wait months for a respite vacancy to open up for their loved ones. Families who care for relatives with disabilities use respite care to give them a small break from their demanding, around-the-clock roles. But for the Pascoes, the situation involving their son James, who has severe autism, has become a source of torment. Mrs Pascoe said a lack of appropriate care, planning and transition care caused frustration for her son and triggered his outbursts. The Pascoes have been caught in a 12-month debate with the department, unable to agree over what is the appropriate level of care, respite and supported accommodation for James. The family made the heartbreaking decision to place their son into short-term respite despite concerns it would be inappropriate for their son’s needs. They had no other option as the level of care required to look after James became too much. “We predicted that without ongoing support and adequate funding that our home would become hectic, unpredictable, and we would eventually get to a stage where our home would then become a trigger ... and is the driver for outburst behaviour,” Mrs Pascoe said. “After thought and considerable consultation from professionals and family who know James, our decision regarding this suitability remains, we do not believe this environment meets the needs of our son’s emotional, physical and sensory needs on a long-term basis. Mrs Pascoe said the family was considering relinquishing James into state care, but could not make the heartbreaking decision until they were certain he would receive appropriate support. “It is with great sadness and desperation that we are now forced to make this decision about our son under dire circumstances, created as a consequence of our concerns falling on deaf ears along with no outcomes or results to meet our needs for our son,” she said. Department of Human Services spokesman Mike Griffin said the government had been working with the family for months. “Two long-term supported accommodation options have been offered,” Mr Griffin said. Mrs Pascoe said the options offered by the department were inadequate for the level of care required.